This High Tack Tape is ideal for all of your artistic adhesive needs. This double-sided tape is heat resistant, great for instant hemming, and works well on surfaces that will also be embossed. It is perfect for use with photos, framing, attaching embellishments, and adhering items together. 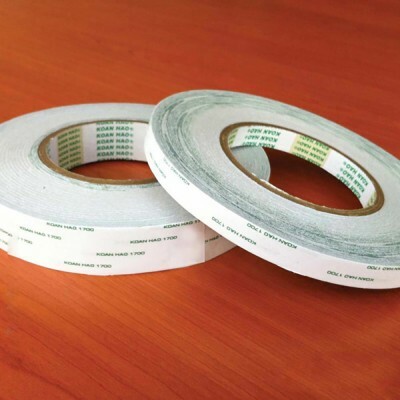 This tape has an extremely strong hold, and performs well on a variety of surfaces including metals, glass, wood, paper, plastic, and fabric.